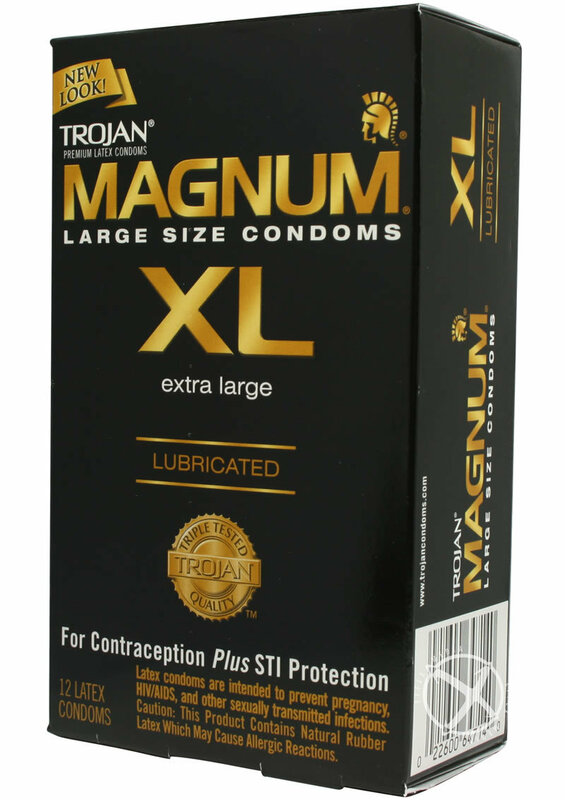 Trojan Magnum XL condoms are larger than the original Magnum, and 30% larger than standard condoms. The widest condom on the market today, this condom is designed with extra head room, and tapered at the base for a secure fit. Made from premium quality latex to help reduce risk. Silky smooth lubricant For comfort and sensitivity. Reservoir tip for extra safety. Trojan condoms : America's number 1 condom. Trusted for over 80 years. Triple tested Trojan quality. Made in the USA.